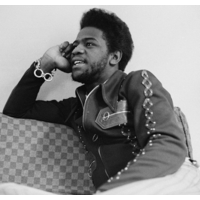 Albert Greene (born April 13, 1946), better known as Al Green, is an American gospel and soul music singer. He reached the peak of his popularity in the 1970s, with hit singles such as "You Oughta Be With Me," "I'm Still In Love With You," "Love and Happiness", and "Let's Stay Together". In 2005, Rolling Stone named him #65 in their list of the '100 Greatest Artists of All Time'. The nomination, written by Justin Timberlake, stated that "people are born to do certain things, and Al was born to make us smile." The Rock and Roll Hall of Fame inducted Green in 1995, referring to him as "one of the most gifted purveyors of soul music." Green has sold more than 20 million records.